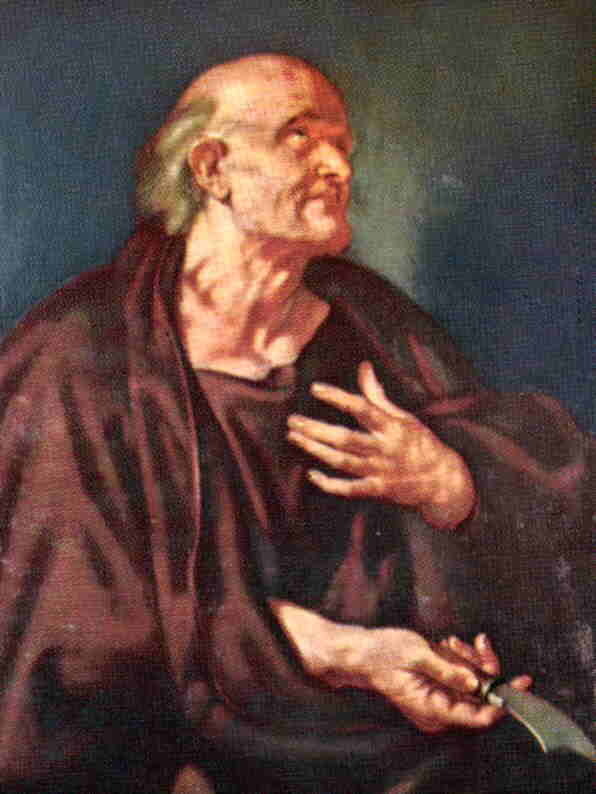 Saint Bartholomew, whose name appears only in the lists of the Apostles, is believed to be Nathanael, whom Philip brought to Christ. He preached in Persia and Egypt and was flayed alive in Armenia. His relics are thought to be in the Church of Saint Bartholomew in Rome. O holy apostle, the Church prays for grace to love what thou didst believe and to preach what thou didst teach. Not that the bride of the Son of God could ever fail either in faith or in love; but she knows only too well that, though her Head is ever in the light, and her heart ever united to the Spouse in the holy Spirit who sanctifies her, nevertheless her several members, the particular churches of which she is composed, may detach themselves from their center of life and wander away in darkness. O thou who didst choose our west as the place of thy rest; thou whose precious relics Rome glories in possessing, bring back to Peter the nations thou didst evangelize; fulfill the now reviving hopes of universal union; second the efforts made by the vicar of the Man-God to gather again under the shepherd’s crook those scattered flocks whose pastures have become parched by schism. May thine own Armenia be the first to complete a return which she began long ago; may she trust the mother-Church and no more follow the sowers of discord. All being reunited, may we together enjoy the treasures of our concordant traditions, and go to God, even at the cost of being despoiled of all things, by the course so grand and yet so simple taught us by thy example and by thy sublime theology.